March 22, 2017 by Beeraj Patel, Esq. The United States need diverse and experienced workers across the business and economic spectrum. One way for an employer to hire from within their organization and provide a worker entry into the United States of America is through an employment visa process. 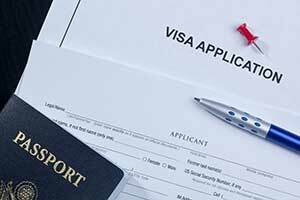 Two such visas are the L1A and L1B VISA: two types of L1 VISA. An L1 VISA can be broken down into several different levels under the L1 status: L1A and L1B. The L1 VISA is a legal document used to enter the United States of America work purposes. The L1 is a non-immigrant visa and can last for a specified period of time based on a schedule developed by the United States Citizenship and Immigration Services (USCIS), depending on national origin. With extensions, the maximum stay is up to seven years. The L1A VISA status is granted for a period of one to three years and may be extended in two-year increments. The L1A VISA is valid for up to seven years and is meant for workers with corporate or management level positions. L1B VISA status represents skilled employees or employees with rare or specialized knowledge, which means that the employer must prove that the applicant has special skills or informational ability that sets them apart from similar work or knowledge held by other employees. The L1B VISA is granted for a period of time from one to three years and may be extended every two years for a period of time from up to five years. L1A and L1B VISAs are eligible to employees from a company with offices both in the United States and overseas, allowing skilled workers the opportunity to relocate to United States for the purposes of working in a part of the business in the United States or for the opportunity to initiate business opportunities from within the United States. The L1 VISA is a document of dual intent and may legally be used to gain a green card. Partners of L1A and L1B VISA holders may also be allowed to work in the United States under an L2 VISA. Both L1 VISA holders may file for a green card and permanent residency, but these individuals must also also apply for labor certification, which requires the employer to prove that there are no local workers who are qualified to fill the position. Partners and children of both L1A and L1B VISA holders may accompany them to the US on a L2 VISA. The L1A and L1B VISA application process can involve a lot of documentation, so it is important one speak with an immigration legal professional to help sort out the process. Every L1 VISA is initiated by the employer. The employee is to Form DS-160—the non-immigration visa form—to the State Department via an online portal, two identical 2-inch x 2-inch photographs, a US passport. The employer must also file a Form I-129, which is the L1 petition for nonimmigrant worker status. The employee must provide supporting documents for the business. The employer should submit the applicable fee based on USCIS standards. The L1A and L1B VISA should be processed in a 1-to-5-month period. Consult with a legal professional who specializes in immigration law. Based on the company and work, there are several positive aspects to obtaining an L1A or L1B VISA. To fully consider the pros and cons associated with each type of visa, make a list of specific needs and concerns before contacting a legal representative or counselor. Each visa has advantages and disadvantages based on factors such as timeline, cost, family concerns, and timelines. Perhaps an L1 VISA is not the right type, and the individual may be better served by another variety of visa. The worst thing any person can do is choose the incorrect type of visa that doesn’t work as hard for the individual or their family. Whether its L1A vs L1B or even something else, the United States need diverse and experienced workers across the business and economic spectrum.